* Includes 20+ minutes off-course. Epic day. Much pain. More later. Hey, Saturday's better than Friday! 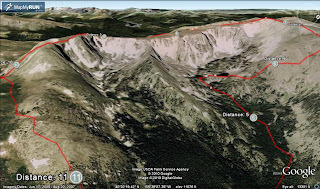 Tues: Hike Longs Peak with J. 12 hours on the feet, longest time for either of us ever. Plus, 3.5 hours hiking at night, pretty darn tired with about 3 hours of sleep. Best idea or worst idea? Wed: Hike Grey Rock with Neil. A good hiking pace on a day that ended up being around 100 degrees. Thurs: Move the rest of our stuff as well as furniture. Fri: Move everything up 3 flights of stairs. Estimated total elevation gain of several thousand feet, usually with ~40 extra pounds each time. Sat PM, Sunday: A couple 1-hr sessions of jogging around the new 'hood. Anyway, I didn't get much real running in the last couple of weeks, but I got anything from a long hike to lifting/moving boxes. Thankfully, got through all of that relatively unscathed, didn't throw out my back or drop something on my foot. My knees feel a little creaky going down the stairs after moving, but they felt OK while running, so I'm hopeful there. Maybe all that power-stuff, in the heat of the day, was actually good for endurance? Who knows, it's all made up anyway. Guess we'll see! I thought I had a really solid progression of training starting in March. I kicked it off early with a trail marathon in Salida, followed by a 50k in April, and a 50M at the beginning of May. That, I thought, would set things up for a long summer to train for a 100M. Well, I wasn't overly happy with my 50M at Collegiate Peaks -- I just got worn down in the 2nd half, and kind of felt worn down overall. Then, a funny thing happened: I flew off my bike in the desert and ended up in the ER. One week of forced rest (OK, besides sneaking in some rides while we were still in Fruita) -- but a week without running. But, I was signed up for a trail race in Wyoming, so I ran it while wearing a Maxi pad, testing the hip and circulatory system. I was again a bit slower than I would have liked, but the taste of running and racing again got me fired up. The next week I hit a 100 miles for the first time all year (maybe the 2nd time, ever), and didn't look back. Each week through mid-August, then, was at least 100 miles (this does include hiking miles), except for the 4th of July week which was around 80 but included a faster effort in the Silverton 10k. And, 3 weeks out, I hit 150M (again, including hiking, and some decent time at elevation). My longest run was 45M, and I had 3 other runs around 40M, and maybe 3 more or so around 30M. I had a couple of 30M/20M back-to-back days. I would have liked more tempo running and speedwork, but was happy with the distance work, and Sir Nick's fortnightly Towers hillclimb challenge, which was just the right amount of "hard" to feel good. I mixed in a few night runs here and there, a good one with Alex, a few more around the 'hood. I was a little concerned about this, but then I remembered that I've ridden my bike home in the dark dozens of times! Not exactly the same thing, but kind of close, as you have to pay attention to a narrow beam of light and the path in front of you, and you're tired. Well, those few paragraphs felt more self-indulgent on numbers, but people need to know this stuff (even if it's just me) to figure out what to do in training and how it all plays out. I feel good about most of it. Ideally, I would have had a 50M in June or so -- early May might have been kind of early -- and a touch more speedwork, although admittedly I sacrificed some quality speedwork for "more miles." This is not to be taken lightly, I know, and no matter what I end up doing, my hat is off to all 100M finishers. The biggest part, though, was getting my head wrapped around 100M. It wasn't until late July where I was literally convinced this is something I could do and wanted to do badly enough to commit to it. I was finally able to answer the question, "Why?" The answer to this is incomplete, but I know how to find the rest of the answer! I've never really spelled out goals online a priori before, but I admire the guts of folks who do, so it's time for that. Let's put the goals out into the universe and see what happends. And, it'll give me a last bit of time for anyone reading this to offer encouragement or discouragement if I'm setting myself up for problems. Yeah, that's a pretty big spread, isn't it? In fact, there's a 12-hour spread between the top and bottom goals -- didn't I just say that 12 hours on my feet was the longest I've ever done? 1. Finish a 100M as close to the best of my ability as possible. There are many things outside of my control. The hardest and most obvious is the temperature: it's gonna be hot, around 90 degrees. If the high were around 70 instead of around 90, it would make a significant physiological difference, and I know that, so it's foolish to put out some goals and not consider the weather. But, I don't want to rule out the top goals without even trying. I guess the crux is running the first half around 8:30. I ran 50M here 2 years ago, same temps, in around 8:07, nearly to the best of my ability. I'm more fit now -- I would aim for around 7:40-7:45 for a 50M here now, and speed up the aid stations a bit. Is adding 'only' 40 minutes to what I would *try* for a 50 (which is also significantly different than actually having accomplished it) enough of a buffer? Or is it a recipe for disaster? I'm not married to 18 hours, in fact, I would be very happy with 18-something or 19-something -- I just also don't want to rule out the possibility immediately. And, I'm perfectly OK slipping some time in the last chunks to finish above 18 hours, this might actually be the perfect plan for a 8:30/10:30=19 hour plan, which I'll learn/figure out in the 2nd half. I just don't want the first half effort to cause me to blow up. Lastly, not to be understated, is the incredible help I'll have from Neil with pacing in the 2nd half. My goal here is that looking forward to seeing him will help me finish the first half, then making silly jokes and such will keep me distracted from the letdown and hills going back up the 2nd half. He's talked about a plan where *he* bonks or gets drunk or both and *I* pull him through the 50M -- that might work, too! Either way, I'm optimistic about this new 'no-man's land' beyond 50M. Any thoughts here on pacing? Should I go for broke in the first half (everyone likes a good car wreck) or go more conservatively? Congrats to all the runners in a big weekend last weekend, mostly Pbville and Pikes. Catching up on all the stories, which are both inspirational and educational. Looks like there are 159 entrants registered for the 100 miler, a sizeable field. Based on alphabet, I am Bib number 60. Yes, this is about my friend Neil Brooks of Fort Collins, CO. I have known Neil for a decade, and in that time I have known him as one of the most generous and selfless people I've ever met. He's helped us move, helped us with projects, helped us with big decisions, and has always been there when needed. He's donated money and vehicles to numerous causes, and his sympathies lie with those that are suffering or worse off. He was dealt a bad hand with severe disability. I knew him when he was working, and he's such an intelligent and motivated person, it was a hard blow not to be able to put that to use every day. Yes, some days are better than others. Yes, he's tried to move on through those issues and not make them a readily-apparent excuse. Ironically, this makes people question his disability. It's even more unfortunate because he is/was such an active, adventurous person. When disability strikes somebody who is in the twilight of life, who has seen or experienced it all -- or, on average, who doesn't care to -- it's nowhere near as tragic as when it holds back the very core of a younger person. I honestly believe that all he is looking for, like many of us, is a smile -- whether it's from true understanding, or pity, or just that common human interaction that binds us -- rather than accusation or anger or fear. I'm not talking about correctness -- it's possible to be on the 'correct' side of something and enveloped in fear and anger -- but taking the high road of calmness and compassion. This is difficult and not an expectation, and people can choose to be angry, as is there right, with some justification -- but the choice of calm, rational discussion, and hearing the other person (without necessarily having to agree) is closer to the optimum decision -- for everyone. I believe, at his core, and in the long run, Neil is one of the kindest and caring people I know, and it is important for me to explain that he has been a genuinely good guy for a very long time. So long, Fort! It's been a great 4 years...now it's time to move to Denver. Looking forward to new challenges and opportunities, but definitely going to miss and cherish people and places in the Fort. This deserves some more reflection and writing when I have time, but I'm happy to be close enough to return often. Had one last chance to peer down on the Fort from Grey Rock, as I had a great hike up there with Neil. Not only is Neil and his wife DJ two people we'll miss dearly, but it's also looking like he'll be able to pace me on bike during Lean Horse! Not only am I happy to have them there when I'll be feeling my best and worst (and often at the same time), but in many ways you can't ask for a better pacer than Neil. This, too, deserves a longer post, but suffice it to say that Neil and I have a solid history together. At the best of times, we're on the same wavelength, and at the worst, he can do the thinking for me! He has the race experience and analytical mind to help me reach my goals, but also the humor, adventure, and "Type B" running that I enjoy so that having fun can still be the main goal. Finally, he deserves a large share of the blame for getting me into running (and cycling) in the first place, by convincing me to sign up for my first half marathon in San Diego, nearly 7 years ago, as well as my first cycling century: in both cases, cracking jokes and cruising along at ease while I was suffering, in a good way. Now we both live in Colorado, so how cool would it be to have him there for support for my first running century? Unimaginably cool! Who would have thought? Not much more to say right now, but "She did it!" "No way", after asking if she thought she could have done it *last* year, before she stated her goal and we started a comprehensive training plan of hiking involving similar distances, elevation gain, altitude, scrambling, exposure, and night hiking. "I would think to myself, 'I'm an idiot'", when asked in the last mile of the return hike, how she'd feel if she had a 50-mile bike ride return trip left. A great day, incredibly stoked to get up and down safely and successfully with my favorite hiking partner! Back to the Bacon Strip on Sunday. 1. Lean Horse training: I'd run at least 18 miles in order to fully simulate the ~17 mile stretch of Argyle Road. Huh? Why would I do marathon training when I'm within a fortnight of my first hundred miler? Well, after a summer of long, slow runs and hikes (Motto: If it hurts, slow down. Then do it again! ), I wondered if I was doomed to a life of 9, 10...15 min miles. And I felt like a harder intensity effort but not as long would a good way to end the week. In a way, ultra training is simple and sloppy. Pile on the miles, and every mile you run is faster than 'race pace.' Run any mile in under 10 mins and I'm easily under race pace, in fact. Anyway, I had the car so I drove this morning: felt kind of weak about that but it was a legit 20 minute drive each way. I planned on Double Bacon: run the first lap in 7 min miles, if that was even possible, then switch out my water within 1 minute from the bumper of my car, and then run the 2nd lap in 8 min miles. Got everything ready and headed out. 7 min miles is pretty fast these days, I thought in my head. So I headed out comfortably fast. I purposely slowed as I approached the first mile at 6:15. Whoops. Next one, 6:30. Still too fast. Took a few miles but finally dialed it into 7s. Overall average around 6:47, faster than what I'd be really happy with at Denver. I had sucked down a full bottle and switched out a new one. Kept drinking as I headed up the road. Definitely slower now. Just keep it under 8 min/mile. The sun was beating oppressively on the side of my face, most of my bottle was gone by 2.5 miles, and my pace was slipping. And, all I could think about was ice cold water. I've seen this movie before, and I know the ending: I run out of water, get hotter and hotter, trudge around feeling like death, and hate life. No thanks! I turned around at mile 3 and headed back to the car. I was able to go a bit faster going back, with a combination of downhill and the fact that I had a little bit of Gatorade left by the car. It was just a few swallows, but I was thankful. Then, I thought I remembered a water bottle that had been in the car for months. Sure enough, found it buried under the seat. Drank that quickly and poured a little on my head: felt better instantly. I was ready to be done, but headed out for 2 more miles, able to hit low 7s again. Overall, felt good about the workout. It was hilly, hot, and at the end of my last week of significant miles. Less miles from here on out. I also learned (and re-learned) some things. 2. Hard effort in the heat requires significantly more water than easy effort: I drank more liquid in 2 hours of tempo than I did the previous day in 6+ hours of hiking and light running, at elevation. 3. If I'm running out of fluid and rationing, I will absolutely slow down...and if I have hope of imminent liquid, I can speed up. It's quite a rational response, I suppose. Rather than fight it, I should just avoid it altogether by having enough fluids! Luckily the Lean Horse aid stations are close enough together, every 5-6 miles. I have settled my debate about weather to go with a 20oz bike handheld or my 32oz fishing jug: I'm definitely going with the "more is better" approach! Afterward, my legs kinda hurt. Hurt so good! Plans to go hiking with J in the Sawatch didn't work out, so I needed an audible. I've had a Comanche-Fall Mt loop on my list for awhile, so finally ventured out to check this one out. I love the Pingree Park area very much, so it was a nice excuse to go back while we live 1.5 hours from it. I took Buckhorn Canyon/Pennock Pass for the first time, and enjoyed the quality dirt road. Bonus: Saw my first bear in Colorado! A young'n ambled right across the road. I waited to see if Mom was nearby (I was safely in my car) but didn't have any other ursine encounters. I arrived at the Tom Bennet campground around 6:30, under a cloudless sky, and got ready for the day. My plan was to take the relatively popular Emmaline Trail up to the lake, then scramble up to Comanche Peak, traverse over to Fall Mtn, and drop down somewhere on the Mummy Pass trail. I had been on parts of both trails before, so it was a mix of the familiar and the new. Just a mile and half or so up the trail, I heard a shuffling to the left of me, and I caught a glimpse of a mom and baby moose standing next to each other. I wouldn't have even seen them had they not made a noise, and I just kept going up the trail, trying to look as disinterested and non-threatening as possible! That now makes 4 moose sightings in the last couple of weeks. I made decent time up to the cirque meadow, a few miles of jogging, in about 35 mins. That in itself made up a previous dayhike in the area, and is a common backpacking destination. Sure enough, there were tents set up on both sides of the lake. I knew the main trail went right, but thought that a connecting trail also went around the left side, and I was trying to avoid crashing through people's campsites. It turns out that there isn't much of a trail on the left, and I ended up spending 15 minutes slogging directly through the meadow, repeatedly hopping over small streams and trying to avoid pockets of water. Lesson learned. I had never been past the meadow before, but easily found the trail after bushwhacking back to the other side of the meadow. I was able to run a little bit more, but soon enough the trail became more technical and steep, so I was relegated to pretty consistent power hiking. The trail winded through the trees and near some interesting cascades of Fall Creek, before popping out into large rocks and boulders. The cairned route led straight up to a smaller pond, and then Emmaline Lake itself. I was alone for a few minutes at Emmaline Lake, planning my route, when another person approached. This turned out to be Seth, who is fortunate enough to administer the Pingree Park campus and live there all summer. Lucky! We both thought the other person looked familiar but couldn't place it, probably have just seen each other around town. He used to do more racing, Pikes a few years ago, etc. He gave me some beta on the route, mostly about a good descent option of following the Fall Mtn. ridge instead of backtracking to Mummy Pass. I then began heading toward Comanche. The cirque and shoulder of Comanche offers plenty of options. First, you cross a boulder field, and then you get better views of potential routes. I identified a neat series of rock steps and ledges to the right of the snow fields, but as I finally saw the top of that route from below, it was clearly blocked by snow in the shade. The more I went through the boulder field, the more attractive it looked to head straight up to the right of Comanche. It looked safer as it had vegetation interspersed with rock, and it would give me more time on the ridge. But first, the boulder field: the large rocks are literally boulders, and often have deep gaps between them, so you really have to take care to watch your step. The climb itself was a steep calf-burner. Finally made it to the top of the ridge and peered down. Comanche was just short stroll, then a scramble to the summit itself, which had a register on top. The wind really picked up here, and I needed all my layers, including a hat. From this vantage point, the top of the cirque was a rolling expanse of tundra, even though it looks gnarly and jagged from below. I headed over toward Fall Mtn. Because of a high ridge that divides the cirque, Fall Mtn wasn't easily visible from below: I just knew it was on the other side of the cirque somewhere. I would have liked to run, but the tundra was pretty uneven, with tufts of grass and shrubs, small pockets of mud, and rocks aplenty, so I enjoyed the stroll. The warmth of the sun countered the wind. Now I couldn't pick out a prominent peak that looked like Fall Mtn, so I went to dig out my map, and realized it had fallen from my jacket pocket. Rookie mistake! Not only did I lose my map, but I had littered. I backtracked for about 10 minutes to look for it, but was unable to replicate my exact route, and there were enough 3-dimensional hiding places that I never found it. I had wasted 15-20 minutes or so looking for it, and then gave up. The most prominent peak in my general direction was clearly higher than Comanche (I couldn't remember Fall Mtn's elevation), but it was on the other side of a deep, treed valley. That seemed to far way, and weather was building, so I decided I'd head in toward the lake and climb whatever looked interesting. I was back on the edge of the cirque again, where the tundra gave way to spiky, jagged towers. Following along the edge, I didn't see anything that looked to prominent, but did see a few climbable hunks of rock. I climbed up pile of boulders, and then saw another pile slightly higher, which had a cairn on top. I headed over, and found myself on top of Fall Mtn. With the cirque complete, it was time to head down. I intended to head down the ridge of Fall Mtn's shoulder, but it looked like slow talus-hopping, and the clouds were getting darker. I could clearly see the Mummy Pass trail to the West, so I headed down the steeper side of Fall Mtn so I could get down to treeline and on the trail. But the steepness of my choice didn't really save me time, as it was a careful class 3 downclimb and some willow-bashing, and occasional forays into thorn bushes. I reached the trail safely, albeit with some cuts on my legs. The deeply rutted singletrack of the trail didn't lend itself to runnability, but this improved once I reached treeline. I enjoyed the descent, met up with the Cirque Meadow trail again, and got back to the car around 1pm, clouds threatening but still no thunder. Dark and sweet, but not overly so, and not too heavy: still went well enough with lunch. Could have easily drank a couple in different company! Went home and checked out their website, and enjoyed the cool graphics and stories about each beer. They have the process down and a slick website, and if they're in Old C's already, they have decent distribution down as well. Definitely intrigued! While in Loveland, I should have stopped there on the way back from Estes last Saturday. Instead, I tried calling Dancing Pines distillery instead, but just got a voicemail. I'm excited about them, too -- especially the coffee liqueur -- but with no website and scarce information, they're not as fully-baked as Grimm Brothers is, apparently. This one was on the radar for months: $5 AYCE cereal and cartoons at the Lyric Cinema. Problem is, I never wanted to blow a nice late Saturday morning on this....but I would blow off a Wednesday for it! So I skipped breakfast at home, leisurely ran the 10k or so to the theater, then plunked down $5 for a cereal bowl and another $1 for a coffee. As a kid, breakfast was my favorite meal (OK, that hasn't changed); and I could eat cereal any time of day (don't quite do that anymore). I got my first bowl of Cinnamon Toast Crunch, then headed in to catch some Animaniacs. A few minutes later, I got some Lucky Charms. Even though the cereal flavors all complimented each other in terms of post-cereal milk taint -- that is, no chocolate or fruity cereals on tap that might screw up the taste of subsequent bowls (e.g., a Monster Cereal trifecta would necessitate drinking the milk between each new monster) -- it was too awkward to dump a full metal scoop of cereal into a used bowl of milk, as the milk and cereal would overflow/spill, so I drank the (2%) milk between bowls. That was my downfall, I think, as I put in a very weak effort of 3 bowls total (last one was Frosted Flakes). I intended on doing some damage, but it was not to be. Definitely worth it, though, and I enjoyed the cartoons (cousin Chris A.: I think I saw my first "Pinky and the Brain" episode ever! ), but I'm dismayed at my poor showing. J says that I paced it right since I needed to run home, which is a nice story but not the truth: I just didn't have the appetite. The run home was just fine though. Oh, the previous night, Alex and I went for a solid 10-miler after dark. What does this have in common? That run was post veggie-burger/fries/beer; this run was post-cereal/milk/coffee. Good training for being able to eat random stuff and keep on trucking, I hope. So if anybody's offering cereal or fries at Lean Horse, I'm not necessarily passing it up! After being excited about my new small digital camera, I forgot it in the car for this classic loop! Luckily, Nick had his camera, and wrote up a solid report. Not much to add, but great to have good company with Nick and Aaron (I've read about this loop before but having company during a glissade is nice)...also interesting and funny to see how runners hit the high points at the same time (at summits, during a long runnable descent) as well as low points (when dodging headphone-enveloped tourists)...when I'm solo and get cranky around crowds I feel like the world's biggest misanthrope! For the trip, beta-wise, Flattop and Hallett definitely see a lot of wind, so be prepared for that (I could have used a hat and gloves, and a jacket is a must); the glacier proper is variable so evaluate conditions in person, but the slope is totally manageable in summer. Hopefully there's enough soft surface snow instead of sheer ice; look out for crevasses on the far right as you descend; head toward the tarn you should have room to slow down and walk around the right. Anyway, a great place begging for further exploration! Bacon Strip: Argyle Road South? The Bacon Strip loop is a popular, known 10-mile dirt road loop to the Northeast of Fort Collins. There's even a low-key Fall race held every year. I had never been, and with my days in the Fort being numbered, I figured I needed to check it out. Also, a rolling dirt road would be the perfect practice for Argyle Road at Lean Horse, the hilliest part of the course that makes (or breaks) the first and last 16-17 miles of the course. To the bike, then, as I headed East. I thought it would be a matter of putting in the miles begrudgingly on a boring course, but I quite enjoyed the hills. There were just enough of them in just the right places, and gridded road crossings every mile, so I could keep splits on my basic watch. Indeed, this road was Argyle-esque, and I found it enjoyable. It's a nice break from pounding absolutely flat miles. Now I'm telling myself, for Lean Horse, I'm going to look forward not just to reaching Argyle again at mile 80-something -- I'm going to look forward to having some hills to tackle and actually enjoy them. At least that's what I'm telling myself. I planned 2 loops, but consistent with the week's theme, I watched a moderate cumulus cloud puff up and spread darkness to the west. Being the highest thing around the plains, on an aluminum bike, I cut it to one lap, but picked up the pace in the 2nd half for an impromptu progression run. Anyway, Bacon Strip is more fun than I thought, and worth checking out. As Alex suggested, it's probably perfect for mid-winter runs when the roads and trails are all mud and ice, and it's definitely good practice for Lean Horse. 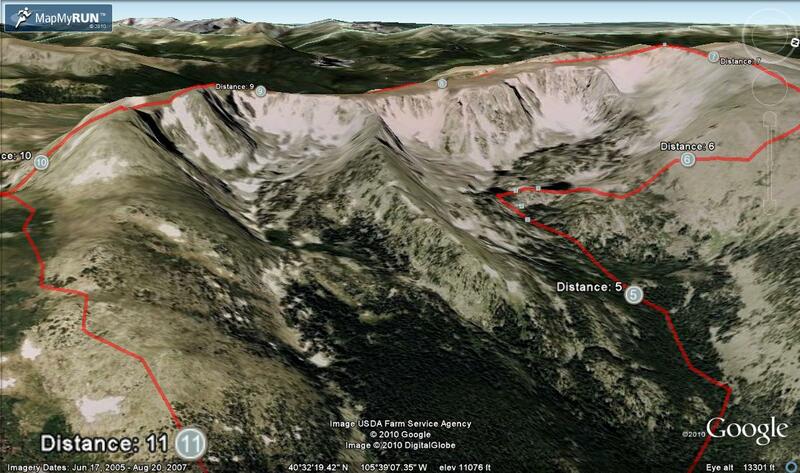 I returned to the Dunraven Trailhead and North Fork trail with the goal of running to Lost Lake, scrambling up to Mt. Dunraven and possibly Mt. Dickinson, then bushwhacking back. None of this was to be so. The weather, like most of the week, was unsettled, and high clouds formed early. No big deal, but I couldn't tell when real storm clouds would be coming in, so I was nervous about being up above treeline for a few hours. I still came out to give it a go, though, but then saw signs regarding the Cow Creek fire. Everything in the quadrant I wanted to explore was "closed" / "off-limits" due to fire. But the sign, posted more than a month earlier, said "Since the fire is still active," which was no longer true, so I reasoned that it was still safe and worthy of exploration. The final straw, though, came just a quarter mile or so past the North Boundary trail, when a big bull moose was standing in the middle of the trail. Not again! In the last 2 days, I swerved to avoid cows on the trail and they stampeded; I avoided a moose and got into thick trees (though that ultimately worked out); and I avoided some elk that got me onto a different trail than I planned. I was tired of this game. Directly to the left of the moose was the Big Thompson river, so I'd have to cross it twice to get around that way; to the left was thick brush that sloped upward. Combined with the weather possibilities and technically closed status of my intended route, I just decided to explore the North Boundary trail instead. The North Boundary trail was quite nice and eminently runnable. I decided to run for 2 hours total before turning around, so I picked a fairly arbitrary spot a few miles in where the trail began dropping down again. Although I enjoyed the trail running proper, I was put out by the lack of a summit. This section of trail was thinned lodgepole pine forest, so I decided to bushwhack a bit back up the ridge (northwest) to see if I could at least spot a decent route to Dickinson and Dunraven. After 10 minutes or so, sticking to fall line and hooking northwest, I popped out on a magic open 'summit' area with great views to the West. This brightened my mood and was a pleasant surprise from being stuck in the woods. Then I headed back from whence I came. No more moose, a few more people, and some abundant wild raspberries just a couple miles from the TH (near the Wilderness boundary sign). All in all, a decent save. After leaving Wyoming, I decided to head down to Cameron Pass to camp. This also gave me an excuse to drive the dirt 20+ mile Laramie River Road down from Woods Landing. I'd been on the southern 7 or 8 miles, but it always intrigued me on the map: I wanted to get a feel for the transition from the rolling plains to the forest and mountains of the pass. The road was relaxed and enjoyable, with wide open views. Not too many people around, but apparently enough full-time residents to get regular mail service. Krazy Kaption Kontest -- submit your best caption for this photo! Eventually the forest got thicker as I entered the Rawah Wilderness. I looked for a spot around here to nap and perhaps camp -- J and I had camped in this area before. Found a nice pull-out off the road, got set up, and tried to relax...but couldn't, with regular gun-shots (target practice) directly across the dirt road. No fun for me, so I took off down the road, and checked out Long Draw instead. Long Draw Rd has free primitive camping as well, but only in official designated sites. The rain and mud made it difficult and risky for me to try some of the sites up steeper roads, so I stopped at an early one and made camp. As the rain got heavier, I just stayed in the car (the Subaroost? ), doing some reading before eventually falling asleep. My plan for the next day was a deliciously lesser-known and freeform route in the Neversummer Range. My goal was to run up to Zimmerman Lake, obtain the ridge directly behind it (I believe this may be called Table Iron Mtn, but isn't marked on my map), then follow the ridge to Iron Mtn, Thunder Mtn, and Lulu Mtn, before dropping down Thunder Pass and looping back. This route was inspired by having stared at the ridge behind Zimmerman at least a dozen times, and wondering about a route, but there is precious little beta on it, other than a few reports of general bushwhacking to get up there. On the other end, I'd seen Lulu Mtn and deemed it safe in Winter, and I'd read that Lulu and Thunder was a class-2 connection. The middle parts looked safe enough topographically, so I was anxious to give it a go. The warm-up run to Zimmerman was fun but short: interesting to be here in summer instead of winter. It would be a great repeat workout. At the top of the lake, I stared at the ridge again. As you're looking at it, the left side is steeper, cliffy scree, as is the face itself. The right side of the lake has a lower notch in it that could be an intriguing weakness, but is just below the trees. Finally, there's an interesting ramp that sweeps from right to left up the mountain -- I'm just not sure if it cliffs out at the top or not. Didn't see any young mooselets, but I gave wide berth and tried to slink out of the meadow and into the trees as fast as I could. It got me into denser trees quicker than I wanted, but didn't have a choice with the moose. Heading up, I mostly tacked between fall line and heading slightly right, mostly on some game trails. I stayed near a drainage that led to the lake, mostly stayed on the right before crossing over as I got closer to treeline and saw a little daylight. This ended up being an open, grassy area of downed trees (looked almost like and abandoned ski run) that headed up to the right, which was the way I wanted to go. At the top of this, I saw more daylight to the left. I headed straight up what I deemed the 'grassy knoll,' and was amazed at my fate: I was on top, as I hit the notch exactly. I want to come back with other people and picnic blankets and barbecue and a football and baseball bats and balls and maybe a golf club and a ball and all that. Wow, what a cool place with cool views! I looked across with satisfaction at the Diamond Peaks and the local monarch, Clark Peak, reminiscing about a great hike up there previously with J. For now, I had all this flatness to run around and check out. I headed back to the left, towards Bald Mountain, to scope out the ramp and face as alternative ascents. Sure enough, the ramp does cliff out at the top, so it doesn't help, but the terrain gets progressively easier as you head from north to south. The easiest is the grassy knoll/notch class-1 walk, but along the ridge is a veritable playground of possibilities, with class-2 talus hopping, class-3 gully scrambling, and more advanced climbs of some pinnacles and rock formations in the area. Underappreciated! I debated an out-and-back to claim Bald Mtn, but decided the best course would be to head back in my initial planned southerly direction. Either way, more fun running on the flat green expanse, heading up a gradual rise to Pt. 12060 on the shoulder between the ridge and Iron Mountain. Here, I was pleasantly surprised to find a summit register, dated from 1991, with only a half dozen small pages or so. And, I recognized one of the most recent names, from May 2009, as one of my brother-in-laws coworkers. What a different scene than the more popular peaks! Now I got a good look at Iron Mountain as it hooked to the southeast. The ridge here narrowed to be more exposed, rocky, and interesting. There's a column near the top and it gets steep enough to require your hands just a bit, but nothing too bad. From this new vantage point, I had a chance to peer into the box canyon of Trap Park. I've seen Iron Mtn from the North before, and I knew it was a steep, mushroom-shaped pile of scree. I had read that the slope toward Trap Park was more stable and pretty easy -- I only hoped that the drop from this saddle, and regaining the ridge toward Thunder Mtn. was reasonable. Luckily I wasn't disappointed, with a fun scree run down the back. Thunder Mtn. sounds badass enough, but it's just a tundra walk. Once the climb started, I decided to run the whole thing, just put it in a low gear and stretch out the calves and associated tendons. 15 minutes seemed like a good goal, but it took me 15:10. This rolling ridge was instant-gratification-land, because the mountains were just enough rise to look legitimate, but quick and interesting to bag. A bit rockier downhill, then a steeper uphill to Lulu, for the last mountain of the day. From this lofty perch, I was able to look back from whence I came. I had first heard of "Lulu" when going past Lulu City on the west side of RMNP. Sure enough, this mountain is the edge of the same area that was previously mined. Too bad I didn't know this ahead of time, or I'd still be there, looking for the lost gold of Soda Creek (pretty interesting geological history there). Now down to Thunder Pass, and terra cognita. Two people were hanging out at the pass -- the first ones I'd seen all day. I got closer and we exchanged greetings. As expected on an obscure route on a weekday, these folks were incredibly friendly and interesting people. Here I was, taking a break from work, thinking about the upcoming graduate school adventure and associated risks for my wife and I...these folks were scientific researchers, originally from Poland, who now lived in Louisville, Kentucky. He is an alternative energy physicist, she is a biologist, and asked what I was studying. I mumbled "computational biology" and braced myself, her eyes lit up and she talked about how she works for a small-but-promising biotech and how protein folding simulation could aid with some of their work. Fantastic! There is clearly some common thread with outdoor activity and scientific intellectual curiosity -- is it as simple as seeking and finding wonder in the world around us? -- where common personality traits come together symbiotically. I know this, but it's nice to have a(nother) sign from the universe that I'm on a righteous and happy path for the way my mind works. We chatted a bit, before I headed down toward Cameron Pass, while they headed back to RMNP. I warned them about a storm coming in 'around 2pm'; though it was nearly 2 hours away, as I descended, I wondered if it would hold off that long, as the Crags got darker. I dropped into the Basin, and took the first opportunity to refill water bottles -- there wasn't much up on the ridge, other than some unappealing emergency mudholes. This time of year, the runoff stream through the basin was unpleasantly warm...hmmmm....but it was my only choice. I rambled on down the Thunder Pass trail, through fields of wildflowers, when I saw a solo hiker. We greeted and he warned me about impending elk. I swung wide and hacked my way back to the trail...or so I thought. I took it all for granted, but I neglected the fact that there was a fork West toward American Lakes, in addition to my planned Michigan Ditch return. It was all good at first, as I was in haste to at least get to treeline, but then I was clearly headed back toward the Crags. I realized this would still ultimately work out, so I made the choice for extra credit miles instead of backtracking, and I felt I could reach the highway via the trail as well as forest roads. The only major drawback was being off of my planned, written return route left on the dash of my car -- but how does one plan for elk? Now I haphazardly followed logging roads and trails down, down, down -- I've played this game before in this area, once when searching for Mt. Mahler, once when tooling around on a mountain bike. I got closer to the Crags campground, which had a switchbacking trail down to camp, and the main road headed exactly in the opposite direction. Option 2 was to drop further toward Michigan Ditch, get wet, then climb back up to the Michigan Ditch trail. With the storm getting closer, I picked Option 3: cross the Poudre, head straight up for the highway shoulder, clamber over the guardrail like an escaped convict, and run pavement up the pass. This had a nostalgic appeal to it. I've had a lot of great memories of Cameron Pass. In May 2006, the month after we moved here, I mountain biked over the pass in each direction and camped in the area for the weekend. Running it felt great, and I don't mind some pavement after a long slog. I crested the Pass, and the thunder started to rumble on schedule as I finished the downhill to Zimmerman, glad to be back at the car about 6.5 hours after I started. I'll miss living an extra hour away from this area, but I'll be back. To those that already enjoy it, I hope I'm not letting too much of the secret out, as I've gotten a lot out of it in the last 4 years. On Tuesday, I returned to the Rail-Trail in Wyoming for some decent flat miles at elevation. This represents the surface of the Mickelson Trail, which is much of the Lean Horse run -- flat with gradual hills on soft gravel. Last time, I did 2 out-and backs for a total of over 40 miles, but got pretty dehydrated in the 2nd half, as I didn't have 20 miles worth of water. This time, I thought I'd aim for 30 miles, but keep the 2nd half short and return to the car where I could get more water. I also was experimenting with 'just gel', instead of my usual smorgasbord of sandwiches, chips, pretzels, burritos, etc. The weather didn't cooperate, though, so I had to cut it short at 20 miles. Felt strong the entire run, though -- after having a day off the day before, I was full of energy. Wanted to go more. In hindsight, saving my legs for the rest of the week probably worked out better. Anyway, much of Wyoming Territory in these parts is still open range. These guys were on the trail, and didn't want to move. I swung wide around them, down onto the parallel dirt road. They didn't mind this...until I returned to the trail, past them, and started running. When I did, so did they. A stampede! They took off onto a path in the woods, running along side, crashing through trees and brush, before eventually veering further into the woods. That excitement over, I finished the run up past Lake Owen, before turning around. On the trail, I saw exactly 2 people -- a couple on bikes -- doing an out-and-back in the opposite direction. I saw them the 2nd time when I was just 2 or 3 miles from the car, and the clouds were rolling in. "Do you need anything?" the woman asked, with a trace of concern in her voice, I guess thinking that my shirtlessness and single water bottle didn't seem sufficient. "No thanks, I'm great!" Another good few hours on this trail, definitely an underappreciated gem. I bailed on extra miles and took a nap instead, before heading out to Cameron Pass for the evening. Last week, I retired from engineering work, pretty much...the same week my CEO left. At the end of the month, I will begin a PhD program in Denver...a couple of days after running my first 100 miler. I am incredibly stoked about all of this, and can't wait for school to get started! Meanwhile, while figuring out rental/moving situation, I had last week off. After a day of nothing, I planned to go out to the mountains to decompress, and get the mind and body ready for the upcoming weeks and months, but the weather (regular torrential rains west of the divide) and rental situation with our condo didn't help. So, I took a few days of camping and running, and then some longer day trips. This is not a training statistics blog, but all told, I got a solid 150 miles, give or take, in the 7 days from Tuesday through Monday. It ended up being a good mix of the sublime and the mundane, social and anti-social, hot and freezing runs and hikes, which I'll update separately. Wish I had some more speed, a few longer-longer runs, etc., but otherwise I feel great and ready to rock. 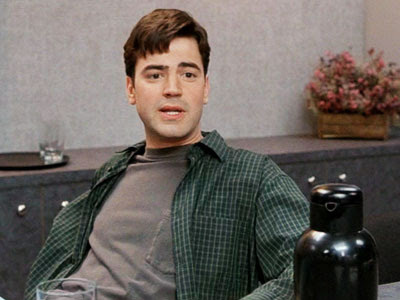 Today, "I did absolutely nothing, and it was everything I thought it could be." On hiatus for the rest of the week. Adios!